A solution to prevent the release of microplastics fibres that are emitted from washing synthetic fabrics, such as clothing and washcloths. 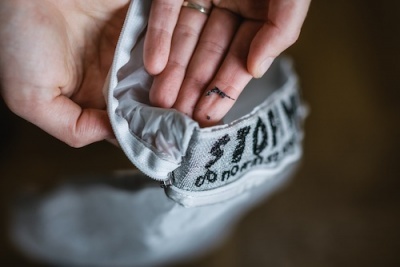 A solution to prevent the release of microplastics that are emitted from washing synthetic fabrics, such as clothing and washcloths. 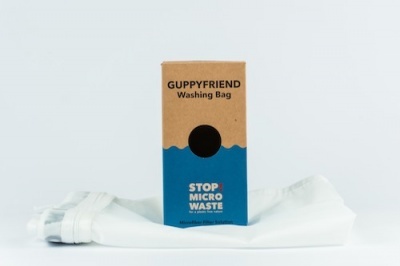 The GUPPY FRIEND WASHING bag is the first pragmatic solution for filtering the smallest pieces of synthetic fibre, which are emitted through washing synthetic textiles. Even clothing that may seem 100% natural often still contain a percentage of plastic fibres. Labelling rules are flexible, and a 100% wool sweater can contain 10+% of synthetic components. These microplastic fibres are released during the wash cycle and make their way into our rivers and oceans. With Guppy Friend, the microfibers that do get released are caught by the mesh and don’t make their way into the marine ecosystem. GUPPY FRIEND can also extend the life of your clothing by losing fewer fibres. The broken off fibres settle after washing in the corners and in the hem of the bag. A city the size of Berlin releases a wash-related volume of microfibers equivalent to 500.000 plastic bags; every single day! Microplastic particles are found in more than 600 fish species; including plankton, a cornerstone of the marine ecosystem. Microplastics find their way into our food chain and into our bodies. They are damaging to the health of humans and throughout nature. 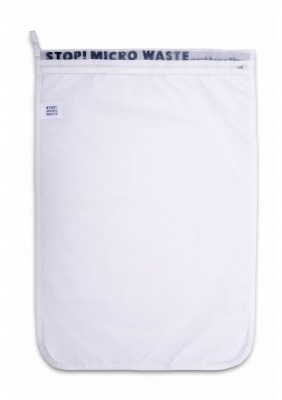 The self-cleaning fabric bag is made of a specially designed micro-filter material. Simply collect the fibres and dispose of them properly (NOT under running waster!) 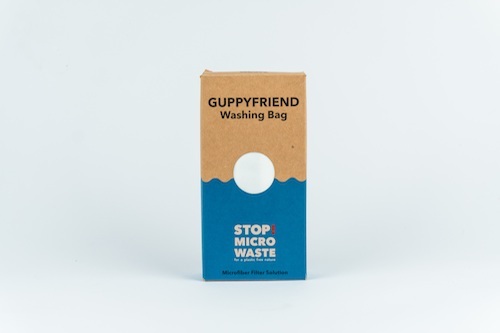 The Guppy Friend washing bag does not lose any fibres itself. 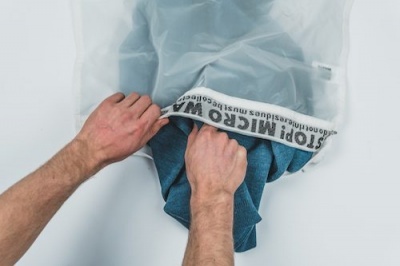 Keep the bag dry in-between washes. It is an easy to use, uncomplicated, affordable and a pragmatic solution to protect guppies, other sea dwellers and us. The hotter your water, the more likely you’ll lose fibres. Whenever you see fibres, take them out, but you can certainly use the washing bag several times before removing the fibres. Depending on the amount of fibre, it is recommended to clean it every two or three washes. 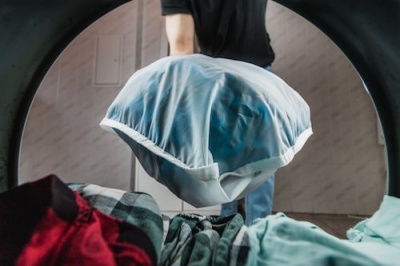 Make sure that there are no dark microfibers left in the bag when you wash clothes with lighter colours. You may find very few fibres. This is because the microfibers are extremely tiny and barely visible to the naked eye. Due to the soft surface of Guppy Friend and the structure of the filament, fewer fibres actually break while using Guppy Friend.